Thousands of people came to the streets in London to set up a “climate rebellion”. They block streets to call attention to global warming. Waterloo Bridge turned into a park on Monday, when protesters brought trees and flowers to the protest. Attention was also drawn to climate change in other places in London. The traffic around Marble Arch, Oxford Circus, Parliament Square and Piccadilly Circus is expected to be disrupted for a week. “We do not want to disturb people, but due to the passivity of the policy over the past 30 years, we cannot do anything else,” said a spokesperson for Extinction Rebellion. 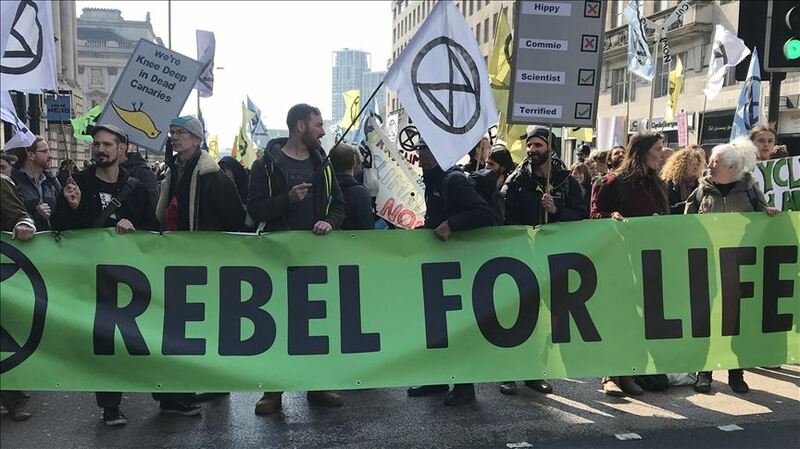 The demonstrations are part of a worldwide campaign by the British climate group Extinction Rebellion, which has planned demonstrations in 80 cities across 33 countries. It demands immediate action and wants CO2 emissions to fall to 0 in 2025. The organisation advises demonstrators to protest peacefully and to respect bystanders and the environment.